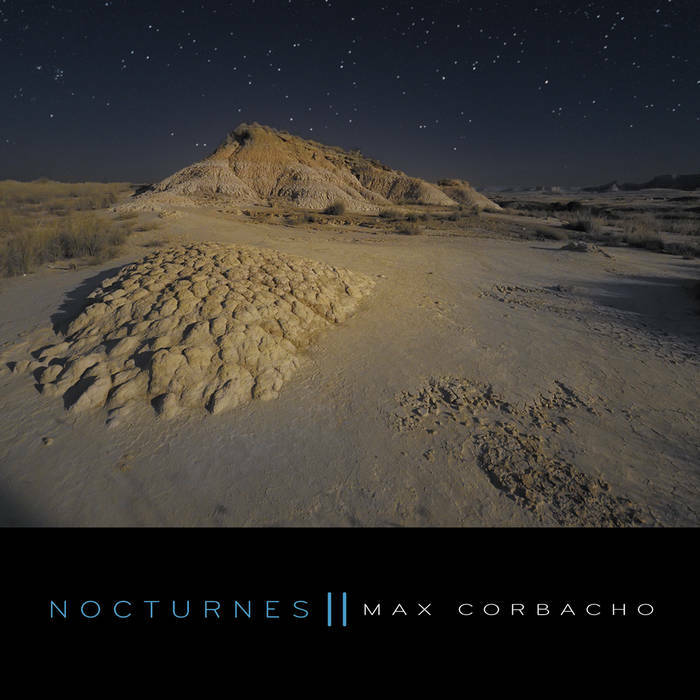 This second instalment of the “Nocturnes” trilogy reconnects seamlessly to the deep, gentle and intimate atmospherics of the first album delivering 70 minutes of mesmerizing night (at times even tactile) ambiences incorporating various mysterious, dreamful and visceral aural currents. The strong 20-minute “Celistia” kicking off the 70-minute album already propels the listener into mesmerizing higher spheres along a trail of nocturnal environmental sounds where the veil of night shimmers through beautifully. It’s an ambient expanse full of meditative, powerful, graceful, serene, and luminous splendor evolving slowly but surely before the mind’s eye even when some of the tracks next in line prove much shorter. As Max wrote in his press notes he treated this recording as a mysterious and serene world that slowly awakens to unfold a previously hidden magic and that’s stirring the subliminal “Heart of the Night” and “Indigo Sphinxes…” most clearly. “Timelapse” picks up the uplift drift again with textures morphing into infinite depths where after the 20-minute “Moon Apparition” brings along an intense immersive closing to this slow breathing ambient space with imminent organic currents. “Nocturnes II” is a very well accomplished achievement.